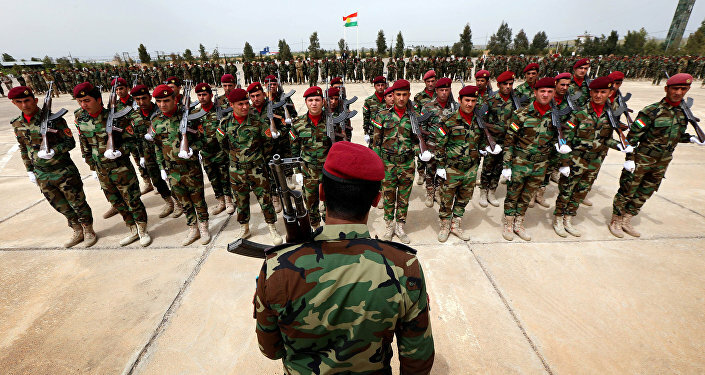 The Kurdish Peshmerga forces will do their best to clear Iraqi Kurdistan of Daesh; the group is a dangerous enemy to all mankind, according to General Lokman Serefhani, who commands a Peshmerga military unit. In an interview with Sputnik's Kurdish edition, General Lokman Serefhani, a Peshmerga military unit commander in Iraqi Kurdistan, said that the Peshmerga forces will do all they can to drive the Daesh terrorists out of their region of Iraq. The interview came as the Iraqi Army continues a military operation to liberate the country's second largest city, Mosul, from the terrorists. "We are conducting a large-scale fight against Daesh. This terrorist organization is mankind's most dangerous enemy and [an enemy to] every one of us. The terrorists continue to kill everyone, including women, children and the elderly," Serefhani said. He also said that Peshmerga forces "are effectively fighting against the jihadists on all fronts," and that they had managed to seize a large number of the terrorists' weapons and armored vehicles. "We are going to clean the Kurdish region of Daesh's presence and we are ready to fight till the bitter end. If we stop the struggle, the jihadists will be able to retake our lands," he added. As far as the liberation of Mosul is concerned, Serefhani urged the Iraqi government to show more determination on the issue. "Peshmerga forces want to liberate Mosul's residents from Daesh oppression. In this vein, we are poised and ready to fulfill any orders that will come from the Ministry of Peshmerga Affairs," he pointed out. The Kurdish Peshmerga are considered to be the most effective ground force fighting against Daesh, and they have managed to win back significant swathes of territory in northern Iraq which were once controlled by the terrorists. On March 5, special US presidential envoy for the international anti-Daesh coalition Brett McGurk announced the launch of a campaign to liberate Mosul. 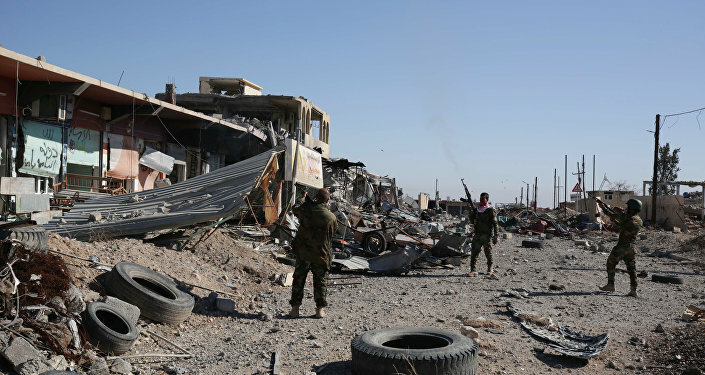 Daesh, a terrorist group that has been condemned by the governments of Russia, the United States and many other countries, captured Mosul and some of the area surrounding it in June 2014.